I have been having a really bad day I thought my acne was starting to clear up, but all of a sudden I have about 5 new cysts forming on my chin and a huge cyst under my nose. The redness has been horrible the past couple of days. I can't believe how awful my skin looks. Not only is it hideous, but it also hurts. I don't want to go anywhere. I don't want anyone to see me, even my own family. 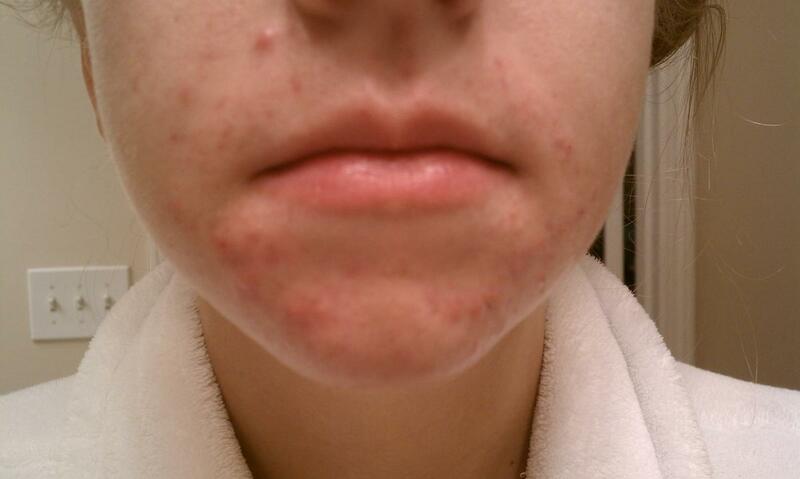 Before this horrible acne I thought I was a pretty decent looking girl, but now I can't stand looking in the mirror. I hate when my boyfriend comes over because I am so nervous about him seeing my acne. Also it is so painful to kiss him because his face rubs against the cysts on my chin and around my mouth. I am on the verge of tears right now. I have been dealing with this for years. I just want things to get better. I hate leaving my house, and I am becoming very depressed. I really wish this medicine would work faster. I am so miserable. I am normally a very happy outgoing person, but I have become depressed and a recluse. I pray everyday that God would heal my skin. I will insert a picture but it looks a million times more red in person. Even these days I still get a little depressed myself when I get new breakouts or are experiencing a bad breakout. But as above, The key is to stay positive. I use to get so depressed that I'd sleep through the day not wanting to go out and stay in bed. I remember 4 years ago I use to get so depressed that I'd feel physically ill. I think you need to find something that keeps you pre-occupied and takes your mind away from your acne. Watch some movies preferably comedy movies and play some games or something or whatever you tend to do as a hobby. Whatever tends to keep you away from the mirror and keeps your hands idle and away from your face . I'm sure you'll recover from this, I hope you feel better soon. I've been there. What meds are you taking? Tell your boyfriend about how you feel. Any guy worth anything will comfort and assure you. But you need to comfort and assure yourself. There is more to you than your skin. I've just met someone and my back and buttocks have broken out. I have it on my face and neck too. It made me feel so unattractive I didn't date for 6 years. I thought to myself, what exactly am I running away from? Someone telling me I make them sick because of my skin. Would I want to be with someone who couldn't accept me? Answer is no! So don't let anyone take you at face value, your so much more. Good luck. This all natural honey lemon mask is great for all skin types including sensitive skin. - 2 teaspoons of honey (Manuka honey has higher antibacterial properties, but regular honey is fine too). Squeeze 1/2 of the lemon into a bowl, mix in honey and stir until its like cough syrup. Apply mask to freshly cleansed face, Make sure you don’t exfoliate your skin before adding this mask because the lemon juice can make it sting. Let the mask sit for about 20 minutes, and try not to talk. Rinse off with cold water (helps close pores) and pat dry your face. You can do this every morning or every night. Apply a good moisturizer afterwards. Give it some time to see results.